Wireless devices are evolving quickly into multimedia smartphones with fast data connections due to widespread deployment of high-speed standards, such as LTE/LTE-Advanced/LTE-Advanced Pro. The Signalling Tester MD8430A is a key LTE-Advanced Pro base station simulator for developing LTE-Advanced Pro-compliant chipsets and wireless devices. 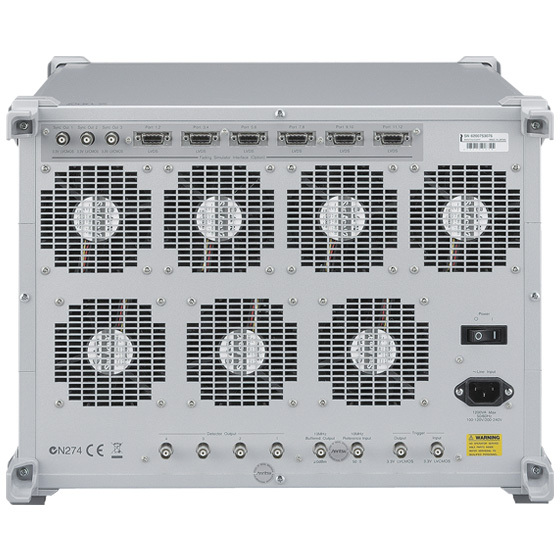 In addition to verifying normal communications procedures, it supports fault operation tests, which are difficult to perform at connection with live base stations. It also supports LTE/LTE-Advanced/LTE-Advanced Pro terminal R&D and verification tests under various conditions. Moreover, LTE Cat-M/NB-IoT tests are supported. 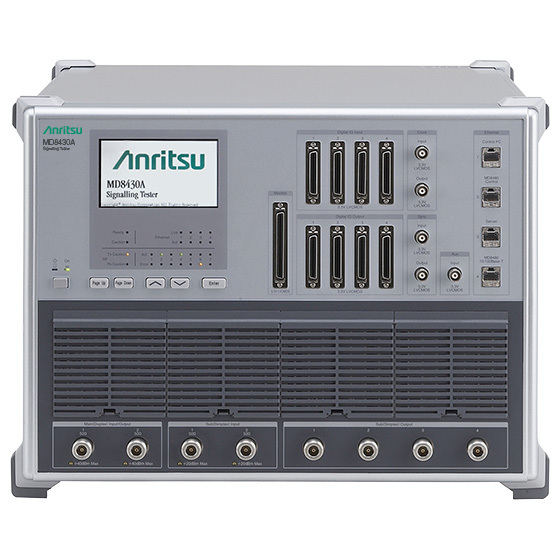 Based on extensive experience in 3G markets, Anritsu has developed the MD8430A as a powerful LTE-Advanced Pro protocol/R&D test solution to help developers bring LTE-Advanced Pro wireless devices to market as fast as possible. *8: Requires MD8430A-088 for DL 4CA, requires MD8430A-089 for DL 5CA, and requires MD8430A-044 for DL 6CA. *11: Requires MD8430A-045 for UL 3CA.